More norovirus: 100 sick on cruise ship. Again. Home/More norovirus: 100 sick on cruise ship. Again. 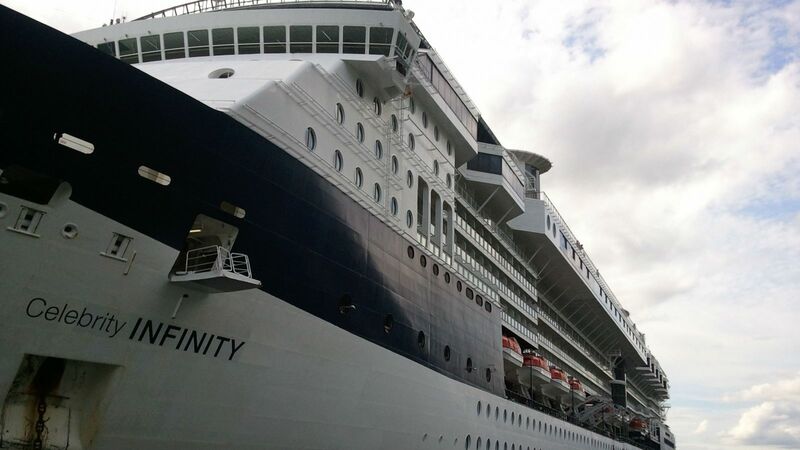 At least 100 people are sick with vomiting and diarrhoea on Celebrity Cruises vessel Celebrity Infinity. This is not a ship with a good track record in this regard: outbreaks of gastrointestinal sickness also occurred on Celebrity Infinity in 2013 and 2006. This is the fourth outbreak of sickness this year on cruise ships stopping in the USA: the other outbreaks occurred on Norwegian Pearl, Celebrity Equinox and Grandeur of the Seas. The US Centers for Disease Control and Prevention (CDC) has reported that 95 of 2,117 passengers and five of 964 crew members became ill with gastrointestinal symptoms during the vessel’s March 29th to April 13th cruise. While this hasn’t been formally identified as norovirus as yet it almost certainly is. In response to the outbreak, Celebrity Cruises and the crew on board the ship have increasing cleaning and disinfection procedures according to their outbreak prevention and response plan and notified passengers. The company is also sending corporate management, hotel, and a housekeeping team to assist the on-board management. In consultation with CDC, the company is developing plans for comprehensive sanitation procedures in San Diego, California when the ship returns today. If you are worried about norovirus – which wreaks havoc in enclosed environments such as schools, care homes and hotels as well as ships – contact us. Dealing with these outbreaks requires specialist protocols and most disinfectants are ineffective against this virus. April 13th, 2015|Food, Health, News|Comments Off on More norovirus: 100 sick on cruise ship. Again.